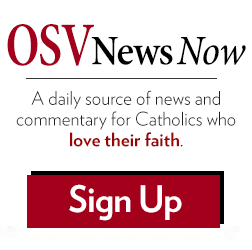 Check out these great resources provided by OSV Newsweekly! Keep the faith. Many of our college age children are losing their faith in a secular college environment. OSV Newsweekly’s Spring College Guide is a great resource for a DRE, Priest, Principal, or those who influence students making these very important decisions.What is your charism? What is your specific gift from God? The Spring Vocation Guide may help you or someone you know to discern whether the religious life is the way and what order might best fit. Check out Parish-related products and services from trusted sources in our Annual Priest Magazine Buyer’s Guide! Check out Deacon-related products and services from trusted sources in our Annual Deacon Digest Buyer’s Guide! 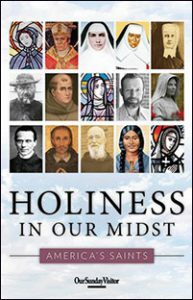 Check out OSV Newsweekly’s saint booklet Holiness in Our Midst: America’s Saints.The saints featured in this booklet faced extra ordinary circumstance, proclaimed Christ to an unwilling culture, and fearlessly defend the Faith. The lives of these saints give us hope for the future and show us how to respond to the culture. 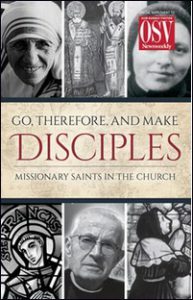 In Go, Therefore, And Make Disciples: Missionary Saints in The Church, learn about 13 saints who carried on the work of proclaiming the kingdom of God — some who went to the ends of the world, and others who ventured not far from home. The holiness and zeal of each of these missionary saints are here to challenge and inspire us. May they also aid us by their prayers.